Forensic accountants catch fraudsters, money-laundering, and tax evasion. 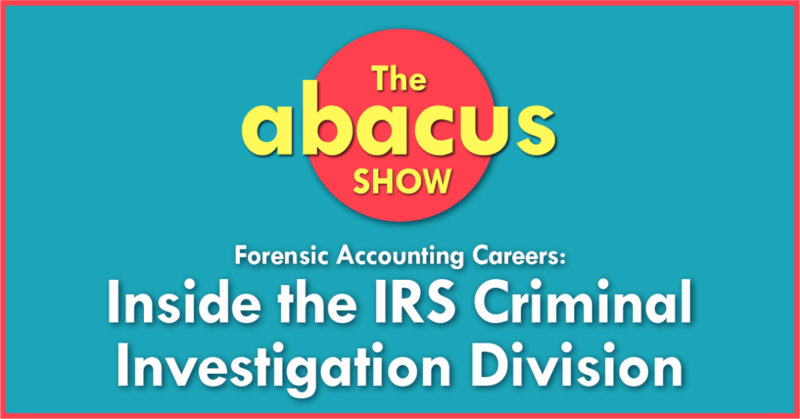 Former IRS Agent takes you behind the scenes of this unique accounting career.. All in this episode of Abacus. Let’s Go! What does a career as an IRS Special agent look like? What do wire fraud, Ponzi schemes, mortgage fraud, tax evasion, money laundering, and anti-terrorism have to do with accounting? 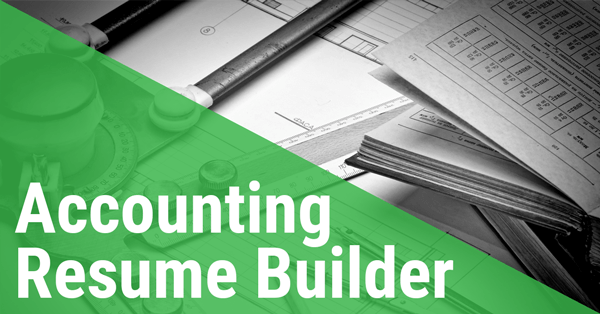 The skills you need to be a successful forensic accountant. How to double your income by retiring. Bob Berchtold: This is Abacus. I’m Bob the CPA. My guest today really didn’t know what to expect when he started with the IRS Criminal Investigation Division. Rick Adams: They sent me the federal job application. I filled it out not knowing what a special agent was. Not knowing what a criminal investigation division was but no internet to do any research on it but it just sounded interesting. Bob Berchtold: But now after three decades he has no trouble getting me up to speed. Rick Adams: Mail fraud. Wired fraud. Ponzi schemes, mortgage fraud, bankruptcy fraud… we have people on joint terrorism task force here. We follow the money. We are forensic accountants that happen to carry a gun and make arrests. Bob Berchtold: Find out what it takes to have a successful career inside the IRS. Even if you don’t think accounting is right for you. All this coming up on Abacus. Let’s go. Bob Berchtold: Learn everything you need to know to have a successful and fulfilling accounting career. Whether you’re on the partner track or you’re making your own path. This is Abacus. Bob Berchtold: Hello and welcome back to the end of the show. 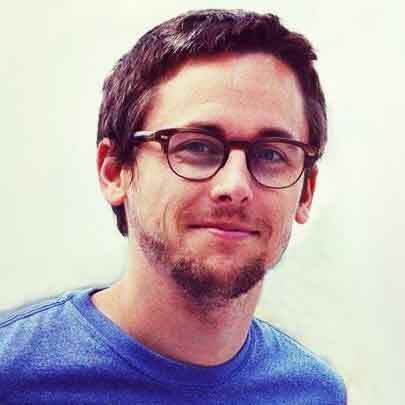 This is season three and that means every episode spotlights interesting and unique accounting job to help you get a better idea just how many options are out there and maybe help you find your next job. In this episode, retired IRS agent, Rick Adams, is gonna share the lucky way he started his career. What skills the IRS looks for in a new hire. And why tech companies are scrambling to hire accountants with money laundering and forensic accounting experience. But before we jump into the interview, I gotta tell ya. 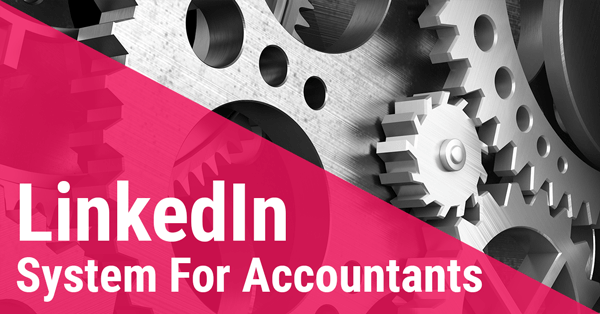 If you’re already out there looking for your next job or if one of these interviews inspires you to go out and find something better, then you’re the reason I created Abacus U. It’s my private membership site, I created to help accountants like you, learn the skills you need to find your next job. Inside, is everything I wish I knew when I was looking for my first job after Public Accounting. It’s the stuff they don’t teach you in school and you’re too afraid to ask your boss. Stuff like the right way to draft your resume or how to systematically put LinkedIn to work for you to get in touch with recruiters and find a better job in your area. More courses are being added all the time. If you wanna speed up your job search and avoid the embarrassing mistakes I made along the way, come over and see what’s inside. Just pause this episode real quick and come on over to abacusshow.com/learn and take a look around. All right. That’s enough from me, let’s get into the episode with Rick Adams. May as well start at the beginning. Would you mind telling me, did you do anything prior to working at the IRS or did you go straight into the IRS after school? Rick Adams: I went right at the IRS after school. I went to college back in the late 70’s. At that time, the economy was pretty shaky, it was actually very shaky and my whole goal was to get a degree and something which there was a job at the end of four years, and after I did some research, I discovered that accountants were always in demand. So it also helped that my dad was a CPA and had his own CPA firm. Initially, we were thinking that when I graduated, I would join his firm and sort of take it over, potentially. That didn’t happen. What I discovered as I was going through school and taking the accounting classes, I definitely had an affinity for accounting and numbers, but I had no interest. But I persevered and when I hadn’t finished off with the accounting degree, but my heart really wasn’t into accounting. I graduated 1982 and did in fact work about two weeks for my dad, for his CPA firm. I just put on audit for about two weeks and that’s what I absolutely knew that I did not want to do public accounting, tax preparation and auditing. Those were not something I could imagine myself going through doing. It just wasn’t part of my personality profile. I’m not saying anything negative about that, people do it all the time. My roommates and college friends were CPA’s, all have their own firms, all are very successful, it just wasn’t up my alley. So after a couple weeks, I stopped working there, went back to waiting on tables and wondering what I was gonna do and through a series of, I don’t know whatever you wanna call it, love, hate or serendipity, I stumbled onto the special agent position with the Internal Revenue Service Criminal Investigations. Bob Berchtold: And so I can imagine that was a scary time for you ’cause I also have some friends that have gone through accounting and then did the whole degree, started working… I would do the exact opposite. What was going through your head at that time? Were you freaking out internally, or were you like, I have a degree, I’m sure I’ll find something? Rick Adams: Yeah, more the second. I always figured I’d find something. The beauty of the accounting degree and the reason I stuck with it even though I did not enjoy the classes is that in the business pyramid, I’ve always felt, and my roommates and I all agree that the accounting degree was the highest degree in the business field, in the business department of education. So if you are an accountant, you can do finance, you can do management, you can do marketing, you can do entrepreneurial, you can do all the things what would we consider below accounting. But if you have a marketing degree, you can’t do accounting. If you have a finance degree, you can’t do accounting. So I always figured go to the top, get the best degree I could, whether I had an affinity for it or not, or love for it or not, I always figured I could make it work. That’s exactly what happened. Luckily, I think that the accounting degree because to become a special agent with the IRS Criminal Investigation Division, it doesn’t necessarily require a degree in accounting but it requires so many courses in accounting, you might as well have the degree. Bob Berchtold: And you mention you lucked into it or happen stance took you to the IRS. Do you remember exactly where you found that job? Did you network it with people and they mentioned they had a job, or did you talk to one of the recruiters? Or how did you even find the IRS? It seems like, especially pre-internet, it must’ve been difficult to network and find jobs like that. Rick Adams: Yeah, it’s actually sort of a… when I say state or serendipity, I actually mean it. Like you say there’s no internet back in 1982, so I was stumbling along trying to see how I could make it work and back in those days, I stumbled across a number through the yellow pages and it was federal job. It was federal jobs hotline. Much like the website, usajobs.com, which many, many people use today to recruit federal jobs. There was a telephone number like 1-800 federal jobs but I called it and it just was a recording of all the federal jobs, so literally it would start off with accounting, architect, janitors and it was in alphabetical order as I am going through it, it’s about a half hour long recorded, ’cause you can imagine how many jobs are in the federal government at any given time, and I came across special agent IRS and you need an accounting background. And at the end of the recording there’s a beep where you can leave a message and you say who you are and what your address is and what job you’re interested in. And then they send you an application and that’s what happened. Then they sent me the federal job application, I filled it out not knowing what a special agent was, not knowing what Criminal Investigation Division was. I was aware of IRS, I mean, everybody is. But that they had a law enforcement division was completely unknown to me, was completely unknown to my dad who was a CPA. There’s no internet to do any research on it but it just sounded interesting. So I pursued that, submitted my application. They then sent me a testing date, you had to pass the Treasury Enforcement Agents exam, I took that I must’ve of ranked high enough because I get a call back and all this takes weeks and weeks and weeks, and so I get a call back, I must’ve worked hard enough to get a job interview. Then I went for that and they offered me the job. This process took about five or six months from the first time I dropped the phone call on the 1-800 number to the day they offered me the job. It took about six months. Rick Adams: Yeah. The federal government works quite a bit differently but I think now with the internet and email and that, I think we respond much quicker but in those days, they just prodded along and I just hung in there, I really felt after taking the test and doing a little bit of research in the library, that this job was something I really wanted to pursue and again, it was pure luck. I called that job line, I was pretty desperate at the time, just waiting tables, it wasn’t like I was starving, but obviously I was just treading the water and not moving forward. But again, I was still just 22, right out of college and when they offered me the job, I took it blindly. They didn’t let me know that you carry a gun, you do search warrants and you make arrests and you do undercover and all these other various things and I never did consider a law enforcement as part of my career path but it just worked out. I can’t tell you how thankful I am that this serendipity occurred with this 1-800 number because with no recruiters and nobody out there telling me about the job, it was absolute serendipity. Bob Berchtold: I imagine someday there’ll be an IRS CID TV show but until that happens, would you mind just walking us through what you would do on a day-to-day basis and what that division does. 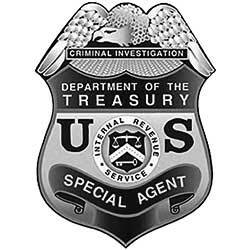 Rick Adams: Yes the special agent position with the IRS Criminal Division, they investigate all violations of the internal revenue code and all relating censes’ so that essentially what everybody knows about tax evasion, finding a false in subscribing to a false tax return, not paying your taxes, criminally not paying, purposefully evading payment but that is just a portion of what the IRS does, the special agent position does. We also support all financial crimes, so when I’m doing my investigation, I work everything from mail fraud, wired fraud, Ponzi schemes, mortgage fraud, bankruptcy fraud, we have people on the joint terrorism task force here, lot of narcotics about 20 years of my career was specifically concentrated on narcotics traffickers and money launders. We work out… anything that is gree- based which is the vast majority of crime, is right up our alley. We follow the money, we are forensics accountants that happen to carry a gun and make arrests. So on a day-to-day basis, you sort of know what you’re gonna do but you could literally walk in the office on any given day and things happen that make your entire day flip flop, and that’s really what I’ve enjoyed so much about the job. You know when you’re out on an audit and you times up for the day you know that the next day you’re gonna return to that some spot, pick up that same document and start from there or the same tax return if you work for one of the big fours, or in any of the accounting firm and that’s not the way it is here as a special agent. You think you might know what you’re gonna do that day. We do a lot of interviews, we do a lot of sifting through bank records and that’s the beauty of the accounting degree, and how it applies to my job. The accounting degree… it’s not all the FASB stuff it’s not the actual tax laws that you need to know. The accounting degree teaches you the accounting cycle, the business cycle of paperwork and because somewhere in that cycle, if someone defrauded somebody, somebody’s embezzled the money, somebody has used inflated invoicing scheme for instance, you need to know the cycle. You need to know how the paperwork flows in order to investigate the crime. Because we investigate the crime we then take it over to the… compile the evidence to prove it. And that evidence consists of search warrant documents, subpoena documents, interviews with the perpetrator as well as the all the other individuals in the cycle and clients, etc. We then put that in a report and we send it off the United States Attorney’s Office for prosecution. Bob Berchtold: And out of all those investigations you’ve done, were there any that stand out to you that you still remember today as either surprising or interesting or really difficult. Just really any interesting stories you have about an investigation? Rick Adams: Yeah. You know everybody that looks back… I did the job 28 years and that ended up being benefit federal law enforcement officers you can retire age 50. So I started at 22 and 28 years later, I retired and I have since moved onto something else but that is very, very summative of what I did. I still enjoyed that job right to the day I left. And I can cover that in a different conversation but some of the things that stand out when I was a young agent, I worked at corruption of a labor union, the Longshoreman’s Union here in Sacramento where they were ghosting the payroll. That moved into a casino slot regime investigation in which people were organized crime was rigging slot machines to pay out hundreds of thousands of dollars. Actually millions of dollars over the course of a year. That moved into the investigation of the president of the Nomad Chapter of the Hells Angels here in… locally. And that went to trial. That was a four year case, which then moved me into investigating large scales smuggling organizations who were moving multi-ton quantities of marijuana from Thailand to the Pacific coast. Then I worked on false invoicing scheme on Hewlett Packard company here in Roosevelt, California. That subsequently moved into a false… my most recent case of six year investigation of again an invoicing scheme perpetuated on an Indian tribe here in Sacramento in which they own a very large Indian Casino and they were defraud of possibly $20 million. And then, of course, sprinkled in there were other lesser but fun investigations throughout my career. Bob Berchtold: On an average case, if there is an average case, I guess. How long do you usually work on case, you said one lasted four years? And while you’re working on a single case, do you have other cases you’re working on at the same time or are you just focused very narrowly on one thing at a time? Rick Adams: I think that depends, but yes your average case from start to submission, so from the start of the lead to submission to the United States attorney, takes about 18 months. So about a year and a half. That’s an average case. Some cases are four years or five years and then of course if it hits the judicial system in which… the courts get involved and there’s motion violence, and there’s hearings, and then everything then gets pushed back. My latest case that I finished regarding the [inaudible 00:16:55] invoicing on this Indian tribe for $20 million, the actual crimes were committed in 2006, 2007 and 2008 and they just pledged guilty in 2016. So we’re talking ten years from the start of the crime to the when these guys actually pledged guilty and were sentenced and went to jail. But again and during that time period, I’m not constantly working just that one case, there may be lows of six months or eight months where you’re not working on it at all, as it’s worked its way through the court process and so that why you have other cases. So your average agent carries anywhere from… depending on the size of these investigations, you can work two to six cases in any given time. And they’re in all points of process anywhere from going to trial to just starting the numbering package to get the thing fired up. Bob Berchtold: And while you were at the IRS, were you responsible for hiring at all? Rick Adams: I was a recruiter, yes. Bob Berchtold: And so when you’re going out to either hire new grads or experienced people, what are the top two or three things you’re looking for to see if these people would be a good fit for you guys? Rick Adams: We primarily focused on accounting graduates, of course. We did a lot of presentations. When we’re hiring, we go out and give presentations to the accounting societies and from there we try to develop a rapport with anyone who shows an interest ’cause as you might imagine, there’s a lot of accountants out there who have no interest in carrying a gun, have no interest in what I’m doing, they’re more interesting in working for a big firm, one of the big fours and going in and opening up their own firms, or whatever. They have no interest in what I am doing. But the ones that do, make themselves known and what we’re looking for, more than grades, ’cause that doesn’t really… your knowledge of the accounting, again, doesn’t really play into my job. You just need to know about it. You don’t have to be a straight-A student, so we’re looking for meet and deal. We’re looking for a guy that can talk, who can go out and interview people of all stripes. Whether it’s street crime guys, whether it’s Hell’s Angels, or whether it’s attorneys and corporate executives. So you’ve got to be able to cross all kinds of levels of society and be able to relate and deal with these people in order to be an effective agent. Bob Berchtold: And was that something that was surprising to you when you first got into your job? You said you kind of went it knowing about it from a 1-800 number. Was there anything that kind of shocked you when you got started? Rick Adams: The whole thing shocked me because I didn’t know anything about the job prior to getting it. I don’t think anybody would be shocked now ’cause you can just google ‘Special Agent IRS Criminal Investigations’, and there’s books written on us now, there’s web pages completely centered on my job. But when I started, I had no idea I was going to be that when I went to college, that I actually had an affinity for and an enjoyment of it. So I literally, for 28 years, enjoyed waking up every Monday morning and going to work. I never came at here, knowing, “uh, another Monday”. No. I really enjoyed… it was a great career. Bob Berchtold: And looking back now after you’ve had a few years of experience, what is something you would recommend or some advice you would give to say your 25 year old self if you had to give them a call and tell them what to do? Rick Adams: I would tell them to know the janitors name. And by that I mean, know all the people who are at the ground floor. Whether it’s the janitor, whether it’s the guy the brings in the water bottles, replaces the water bottles, delivers the copier paper, the copier repair man, the UPS driver. Get to know these people. Get to know the names of their kids. It really is talent that how you treat people really tells it all and it has… reflects upon your integrity and integrity is everything especially in my job. And in all jobs actually. So I would say, treat these people who many would consider at the bottom, treat them as equals. Get to know these people. That would’ve been great advise when I was starting out because you just never know. You really just never know. Whether these people come in later or whether you end up being one of these people at some point in time. Bob Berchtold: And earlier you mentioned one of the benefits of the IRS is retiring at 50. And you mentioned you retired a little bit ago and now you’ve moved onto something else. What are you up to today? Rick Adams: I retired right at age 50, on my birth month. And took a job with a company that has a contract with the federal government in which they hire retired special agents as financial investigators with forensic accountants and they contract with federal agencies to use these people like myself who they’ve hired for these financial investigators to track and trace assets and prosecute people from specifically money laundering. So my job is to follow the money. Bad money. Criminal proceeds into assets, houses, commercial properties, cars, whatever bad guys buy and take them from and on top of taking it from them, prosecute these people for laundering the money as well as for the underlying crime. So I essentially do the same job as I always was as Special Agent but I collect my pension and I’m paid on top of it so I left because it was more lucrative, but at the same time, I do almost the exact same job. I just don’t carry a gun and I’m not a Law Enforcement officer any longer. Bob Berchtold: And working with money laundering is one of those things you see it on TV or you see in the movie Office Space where they can’t figure out how to do it. It’s one of those things everybody hears about it when they’re going through accounting school, but nobody ever really knows about what the actually is. You watch this through it’s a lot of following and paper trail and knowing how the accounting processes should go. Are there any other… did you take any specific training or did you get any certifications or did you just pick this up as you went along, working for those 28 years? Rick Adams: Well since I started in 1982, there were no money laundering laws when I was hired. Money laundering was completely legal, there was no statute outlawing it. Then in 1986, I’d been on a job about four years, they passed the Anti-Drug Abuse Act at 1986 which outlawed money laundering, and they passed approximately 12 statutes where if you do certain financial transactions with illegal money, then you can prosecuted for money laundering. So I got into it on the ground floor. In 1986, I picked up those statutes and I studied them. There was no training, there was nothing. You just picked up the statutes, read them and tried to apply ’em. So since that time, of course, there are training courses and there’s material out there. There’s a certified… there’s a certification, there’s the Association of Certified Anti-money Laundering Specialists. I am one of those. It’s a test much like a CFE or CPA. You have to take a test to be… you have to have the requisite experience to even qualify. But I pretty much learned it all on my own and in fact, I now… I have been for many years. I give training on money laundering. That’s what my specialty is. I am in fact a money laundering expert. I testify at trial, always for the government regarding what is money laundering and how it’s applied. Bob Berchtold: Is that training available to the public or is that only for federal agents? Rick Adams: Our training is specifically for the federal government and it is open to other federal law enforcement agencies like the FBI and DEA. But not to the general public, no. Now that ATM’s certification, that’s Certified Anti-Money Laundering Specialists is open to the public but you pretty much have to have some type of financial experience whether it’s working in a bank or being in the finance world. Bob Berchtold: While we were chatting off-mic, Rick mentioned that the big tech firms in the bay area are constantly trying to hire away IRS forensic accountants. That was news to me because I had no idea they had any use for them. So it sounded really interesting and since we’re focused on unique accounting careers this season, I had to stop him and ask a few questions about that. Rick Adams: We continue to lose agents in the bay area to these start-ups and to these… to Google and Facebook ’cause they all have investigative units and they want us. They want forensic accountants. People that can follow the money and solve the crime and put it together that a DA or a US Attorney will jump on. So they do similar work so it’s still fun but they don’t have the pension but then they make more. So they slap on you 41k is their thought. Bob Berchtold: I didn’t know all those… why did those firms have an investigative division. Are they getting that many issues with money laundering and stuff? Rick Adams: Yeah. All the clicks. People will hijack ’em and send the money over to their account instead. They’ll hack in, find the peoples password, have the ads up and then they will have the cheque diverted to them. Into their bank accounts and then they’ll move the money immediately to a series of bank accounts which makes it almost impossible to follow before it disappears overseas or whatever. Then of course Paypal, they have their own investigative unit because same thing. People are hijacking other people’s accounts, laundering money. We had an agent recently who retired, he’s working for Walmart. International investigations for Walmart ’cause they’re getting ripped. Whether it’s theft out the back or mostly it’s some type of more sophisticated schemes, they want forensic accounts, they want investigators, they don’t want just auditors ’cause auditing and forensic accounting can be somewhat similar but they’re completely different. So there’s a lot of jobs out there in those markets, anything that has advertising where they can be victimized, whether it’s Google, whether it’s Facebook. Then of course you have companies like Intel where guys can just steal the product out of the warehouses and then sell them on eBay. These are chipped £20,000 – £30,000 electronic ponents. Then of course, San Jose is just top marked with these 400-500 companies, they’re striked robotics which is… they make those robotic arms for surgery, and people steal from them along some lines and then it’s all about selling them online, they’re using fake names, they’re using… everything’s fake. So investigator has to peel back that onion and find out… ’cause if you can follow that money, you’ll eventually find the guy and that’s what we do. And that’s why they hire special agents to work in their jobs. So… but your job’s fascinating. I think it is. Bob Berchtold: Yeah, that sounds really interesting. Just like you were saying, people don’t realize that your division at the IRS existed, I didn’t know companies had their own investigators. God. Rick Adams: Oh yeah. In fact the only reason why I’m aware of it is ’cause when you retired from this job, you’re always looking for… 50’s young to retire so you’re collecting those pension and then you’re like, “well, I can go out and make more money”. And we have guys who go to Iraq, Afghanistan and looking at the fest of our foreign aid going to these countries where corruption’s extremely high and they’re paid really good. They’re paid hazard paid, they’re put up in the green zone and that’s what they do, they follow the money, even overseas. I think for having an agent leave us pretty soon to go and do that actually. Instead of retire and do that. Bob Berchtold: That is really interesting. That might be a little bit more adventurous than I have in me but that’s really cool to hear about. All right. Well, Rick I don’t want to take too much of your time but is there anything I didn’t ask you about today that you wanna make sure that we get across to the audience listening today? Rick Adams: I would just say that to anybody entering into any of these job fields, is follow your heart. Follow your instincts. It paid off for me. I knew that accounting wasn’t exactly what I wanted. The traditional accounting wasn’t what I wanted. I tried it for a little while and rather than just sit there and slod through 30 or 40 years of accounting that I knew I wasn’t going to enjoy. I dumped it. And I found something else and you just hhave to have that confidence. You have to fake it till you make it, and I’m not talking about false bravado but just have confidence that these things will fall into place. They have for me, they have for many other people. Both my daughters, it’s worked out. You may have to work that job for a while that you don’t like but definitely make that move if it isn’t right for you. Bob Berchtold: Yeah, I can’t argue with any of that. All right, Rick. Thank you so much for coming on the show today. We really appreciate it. Rick Adams: My pleasure. Thank you, Bob. That’s it for today, folks. If you enjoyed this episode, be sure to head over to abacusshow.com, where you can listen to all of our past shows and subscribe to automatically receive every single new episode. Rick Adams, is a former IRS Special Agent. He started with the Criminal Investigation Division even before money-laundering was illegal. Today he’ll take you behind the scenes to show you what a career in the Internal Revenue Service really looks like. Complete with stories of past cases, how he doubled his income by retiring at age 50, and what he looks for when hiring (so take notes if you want to work at the IRS someday).